A long term plan for the off season. The aim is to develop performance in all 3 sports and ideal for the 140.6 or 70.3 athlete with a debut season behind them and an aim of improving times in the next season. To that end the plan works on a rotation with separate cycles where run, bike and swim economy is focussed on. In these phases the other two disciplines are put on maintenance mode. The plan follows a reverse periodization model, using short high intensity sessions to develop aerobic capacity in the off season. It is also suited to the inclement weather of the northern hemisphere: utilising indoor HIIT sessions later in the off season to develop bike economy and focussing on run economy in the early Fall when the outdoor conditions are more conducive to fast running. Strength resistance training is built into the programme, working through a strength prep phase, max strength phase, power phase and two recovery phases. These session require some knowledge of Olympic lifting and plyometric training, a gym instructor and/or spotter would be helpful in assisting in this area. Any of the 3 focus phases could be repeated to extend the plan or if there is a particular area for development then one discipline could be repeated at the expense of an area of strength. The aim of this plan is to deliver the athlete into the spring ready to increase mileage outdoors with improved power, vV02 and swim economy. See Racesnake.co.uk for help advice or coaching to assist with this plan. If your happy with our product please like our Facebook page. The CSS test involves two timetrial swims - a 400m and a 200m. Try and pace the trials as evenly as possible, don't start too fast and slow down. This test will give us the pace at which we will conduct the hard training sets in this phase. 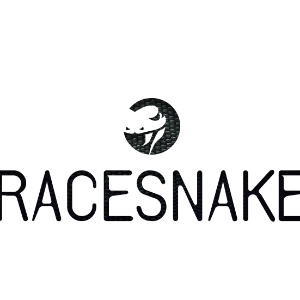 This test is designed to establish your vV02 pace (see Racesnake.co.uk for more info.). Make sure that you can record the distance you cover accurately (to within 3m). A running track is the best location for this test, but a flat firm circuit will suffice. Your vV02 pace is the average pace you sustain for the 6 minutes and you will conduct most of your hard intervals at this pace. This is slightly longer than the normal FTP test, this is because a 20min test often turns out FTP levels that are too high and it is difficult for inexprienced athletes to asses this. At the end of this test your average HR is your Threshold HR and your average power is your Functional Threshold Power. Also take note of the effort feeling in this TT, that should be about your 7/10 RPE in any high intensity sets. These sessions are designed to prepare the body for the heavy strength training block to follow. Focus on technique and muscle engagement. The aim in this session is build aerobic capacity and swim endurance. The high pace but long rest should allow plenty of time to spent at threshold. A steady z2 run. the pace should be such that You can be talk all the way around. This pace will mean you develop endurance without accumulating too much fatigue.